Stop in and enjoy one of our many quick and delicious breakfast or lunch options! We also offer in-house soups and specials daily, so check back often! 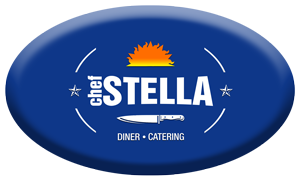 Chef Stella offers a variety of ready-to-bake dishes. We realize sometimes there just isn't enough time in the day to prepare a delicious, nutritious meal! We offer a full catering service to accommodate your business needs. Please download our catering menu and order forms in .pdf.